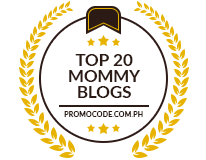 Our website address is: https://www.pinaymommyonline.com. If you use our contact form, we collect your name and email address. The information will be kept indefinitely but for customer service purposes only. We do not use the information submitted through our contact forms for marketing purposes. If you have an account on this site or have left comments, you can also request that we erase any personal data we hold about you. This does not include any data we are obliged to keep for administrative, legal, or security purposes. For privacy-specific concerns, please email admin (at) pinaymommyonline (dot) com.